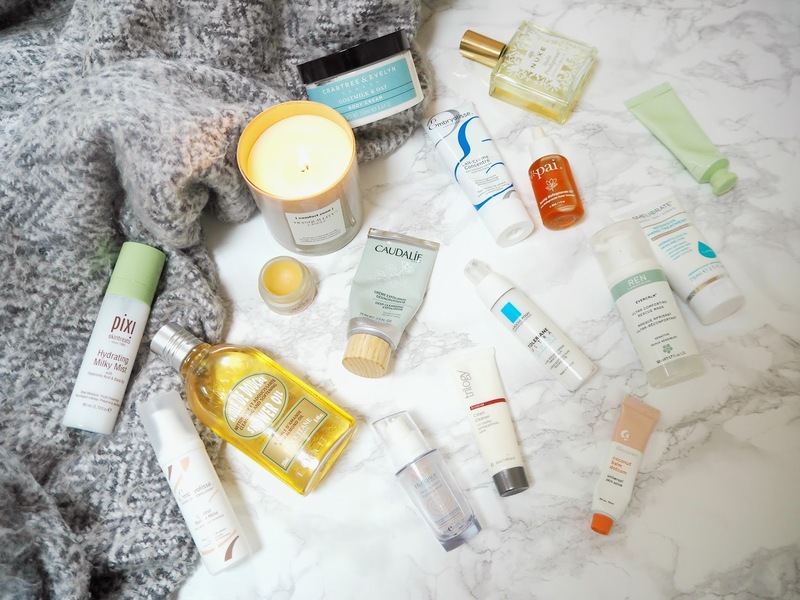 I can't believe it's the time of year once again for me to talk through my autumn-winter skincare stash! I've mainly focused on facial products here but there are a few bits for the body that are currently in a tub by my bed that I thought I'd mention too. Triology Cream Cleanser* | £17.50 (for the full-sized 100ml) | I actually bought a big bottle of this last year that went walkabouts at the time of taking this photo, however it's been located, which is lucky because it's a great everyday product during the colder months. It has a very lightweight, creamy texture that's lovely as a morning cleanse because it locks in the moisture whilst still leaving my skin feeling nice and clean. It isn't greasy and doesn't leave an excess on the skin and it's also very gentle. It contains rosehip oil, which is one of my favourite winter saviours to smooth and soften tired skin. Caudalie Deep Cleansing Exfoliator* | £20 | I'm a huge fan of Caudalie's skincare products - the grape infusion gives hydration in such a fresh way. This is essentially a gentle but effective face scrub in a hydrating cream. During the rest of the year, an acid exfoliating toner tends to be enough for me, however I often get dry, flaky skin around my nose and chin that needs a bit more during the winter. This works incredibly well at buffing it away without leaving my skin stripped or red. Pixi Hydrating Milky Mist | £18 | I used this product every day last winter (more or less!) so of course it's back on rotation now. It's quite a heavy mist but isn't overly sticky and I personally use it in place of a toner on busy mornings. It contains hyaluronic acid, which is one of my favourite skincare ingredients. I find this gives an instant boost of moisture and hydration to tired winter skin, making it smoother and preventing my makeup from clinging to any dryness. Avene Hydrance Optimale Hydrating Serum* | £17 | I'm actually almost out of this! What I love about it is the lightweight, water-based texture - it really penetrates the skin instead of sitting on its surface and making me look shiny. It has this lovely plumping and softening effect and I recommend it for any skin type. It's very gentle, doesn't contain any artificial fragrances and is suitable for sensitive winter skin. Embryolisse Lait Creme Concentre | £20 | I just picked up the biggest tube possible of this! I don't know how I'd never come across it before but I was sent a smaller version of this multi-use product a few months back and it's been an integral part of my skincare routine ever since. I tend to use it as a moisturiser, however it also works as a primer (smoothing out the texture of my skin to provide a hydrated base for makeup) or, applied liberally, as an overnight mask. It has an unusually lightweight creamy texture that's somehow really nourishing without being heavy or greasy. It just softens and smooths everything, making my skin look fresh and glowing. La Roche-Posay Toleriane Ultra Fluid* | £17.50 | This is my second bottle of this, and it's always one of my favourite products during the colder months. The winter before last, I suffered from a really bad facial allergic reaction that was aggravated by the cold and gave me itchy, flaky and bumpy skin. This was the only product I could really use, because it's not only incredibly gentle but really does soothe angry skin. It can be used as a day cream or a serum and is suitable for sensitive skin whether it's dry or oily, due to the fluid, fast-absorbing texture (it doesn't smother my skin in the slightest). Embryolisse Artist Secret Elixir Eclat* | £38 | This serum-primer hybrid has been a really unique discovery (in fact, I wish I'd had a proper chance to test it before shooting my When Skincare Meets Makeup post!) It has a lightweight, fast-absorbing texture and a gel consistency with a fine sheen to it. I find this really refreshes and hydrates my skin with the hyaluronic acid. It plumps out any dehydration lines and definitely makes my complexion seem more radiant - it's a great antidote to dull winter skin. REN Evercalm Ultra Comforting Rescue Mask* | £28 | I definitely think this is one of the hero product that got my skin through last winter! It's a cream-gel mask that just feels so calming, moisturising and soothing on sensitive skin. I don't know why, but the past couple of years I've found that my skin has reacted really badly to changes in weather and this has really helped get things back under control on those occasions. Pixi Nourishing Sleep Mask | £18 | I think it's nearly time for a repurchase because the writing has rubbed off and I'm eking out the last few applications at the moment! This is essentially like a moisturising, plumping night cream but a tad richer - if you're dry, you could probably use this almost every night, but for my combination complexion I prefer a couple of times a week. It contains natural fruit oils and although it's not lightweight, it also isn't smothering and it's intensely nourishing without breaking me out. Pai BioRegenerate Rosehip Oil* | £22 | I bang on about this all the time so I almost didn't feature it, but then I thought 'how is this a winter skincare post without my favourite oil?!' What I love about this is that the texture is lightweight and non-greasy, so it absorbs nicely into the skin as opposed to sitting on its surface. It just revives and resurrects my skin in every way! It smooths, hydrates, improves the clarity of my skin and makes it look fresh and glowing. It also calms any redness or sensitivity, making it a perfect winter all-rounder. Glossier Coconut Balm Dotcom | £10 | This multi-purpose dry skin antidote just smells so good! I tend to use it as a lip balm, because it's nice and moisturising without being heavy or overly shiny (making it perfect to wear under your favourite matte lip product for the winter). It can also be used on dry patches of skin (like around the nose) to soften and smooth things out. Nuxe Reve de Miel Lip Balm | £9.50 | Another classic from my beauty shelf! It's a little pricier than some lip balms out there but I use this every night and I'm not even halfway through my second pot after 2 years. It has a thick texture so I use this overnight, however it never fails to leave my lips smooth and soft. They don't really chap or get dry patches these days, even in the winter, and I put that entirely down to this product. L'Occitane Almond Shower Oil | £19 | This is an amazing option for dry, winter skin. It smells absolutely beautiful and feels so luxurious on the skin - you really don't need too much product at all with this! It goes on like an oil (it doesn't foam like your usual shower products), giving amazing moisture and then easily emulsifies on contact with water, so it isn't messy to remove. Nuxe Hule Prodigieuse Multi-Usage Dry Oil | £29 | Who knows how many bottles I've been through of this and how many backups there are in my drawer?! However, this is just one of my all-time holy grail beauty products. It has a unique lightweight but intensely nourishing formula and the spray packaging makes it quick and easy to apply on busy mornings. Personally, I love to use this on my body - my arms and legs are dry all year round but especially when it's cold outside! It can also be used on the hair and cuticles. I love the scent so much that I also own the fragrance too! It's a gorgeous warm scent with notes that include vanilla, magnolia, plum and orange blossom. Crabtree & Evelyn Goatmilk & Oat Body Cream* | £28 | If you don't fancy an oil, this super-creamy lotion is another great option. It contains Vitamin E and shea butter, which are two of my favourites in terms of body products. I love the fresh, clean scent and it leaves the skin on my body so soft, smooth and hydrated without feeling heavy or greasy. Ameliorate Intensive Hand Treatment* | £15 | I struggle to describe this product because it's not really like anything else in my collection. It goes on like a light cream and doesn't leave my hands greasy or slippery in the slightest, however has a slightly balm-like feel once massaged in, which acts like a barrier on my skin. It leaves my hands so soft and hydrated all day long and contains amazing ingredients like shea butter, oat oil and AHAs. What are your essential skincare products for cold weather? 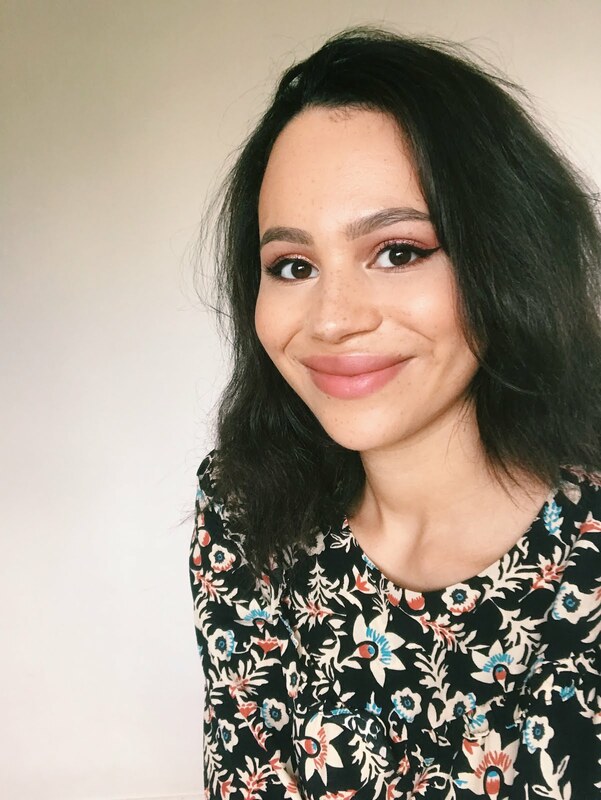 Loved reading this post, Jasmine! So many great product recommendations. Pai Rosehip Oil is one of my all time favourite products! I adore the almond shower oil, it's so great for when I go skiing and my skin needs that little extra TLC from being in the freezing cold all day! I've recently got a pot of the lip balm and its super hydrating, now the weather is changing I'm so grateful for it! 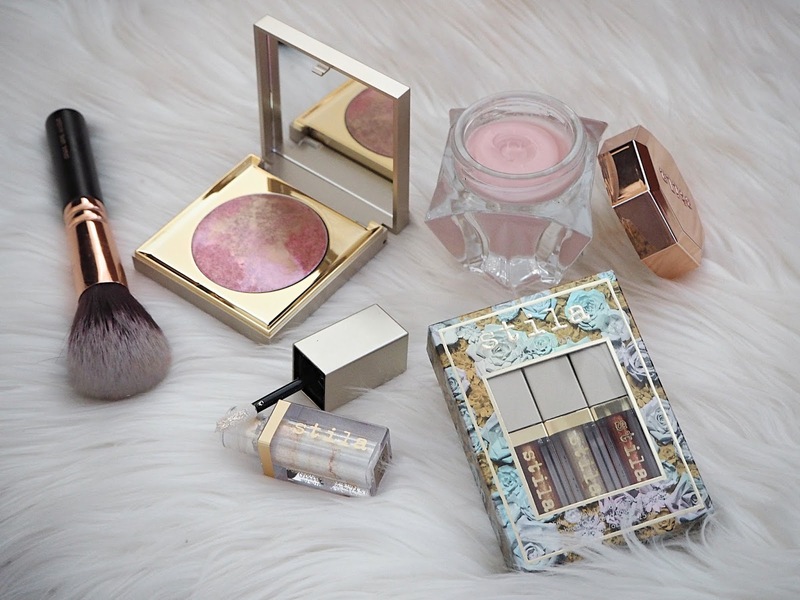 Love your post!That products are amazing! I don't think I've seen that Embryolisse product sold here so I'll need to look for it. It sounds like something that my skin will love! I've been trying to find a good face scrub for ages, and the Caudalie one sounds nice! Love the sound of the Avene Hydrating Serum too - I've been meaning to try that one out for a while. Love these picks, you've always got loads that I've never even heard of!